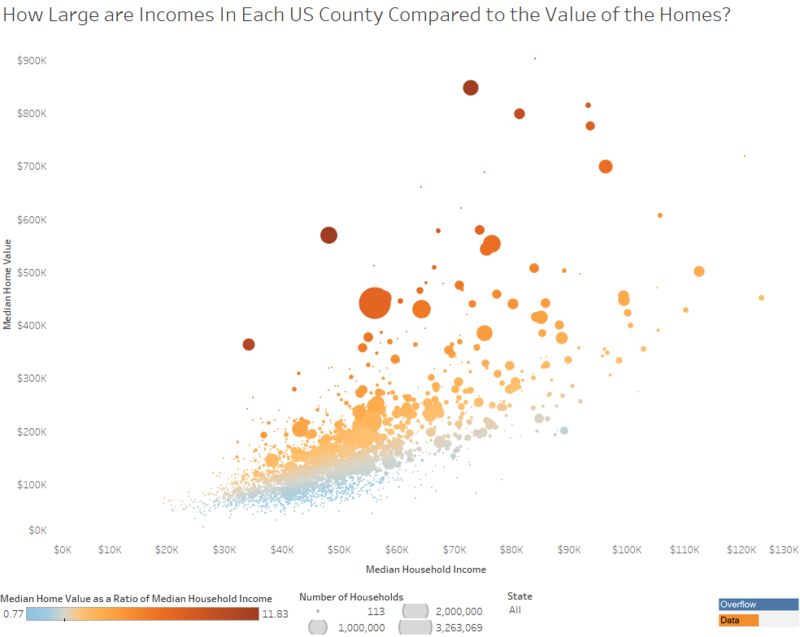 How Large are Incomes In Each US County Compared to the Value of the Homes? You are at:Home»Demographic Traits»Housing Data»How Large are Incomes In Each US County Compared to the Value of the Homes? 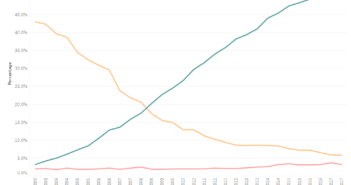 I recently created a visualization on how income compares to the price of rent. I decided to take this a step further and compare income to the values of homes. The visualization above shows this relationship and is color coordinated by the number of years worth of median income it would take to equal the median value of homes in that area. To create this data visualization I gathered data from the American Community Survey. I used the 2011-2015 ACS 5 years estimates from Table B25064, B25077, and B25071 on American FactFinder. I then manipulated the data in excel and used Tableau to visualize the data. If you are interested in the data used for this visualization you can find it here. It is the same set that I used for “How Income Compares to Rent in Each US County”. Good graph. Perhaps you could put house prices on a log scale so that we could distinguish better among the great mass of counties?